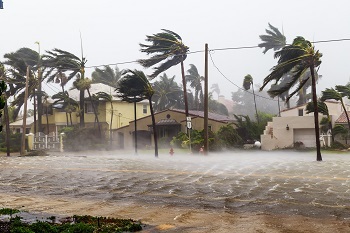 What Should I Do When Making a Florida Hurricane Claim? | DeLoach, Hofstra & Cavonis, P.A. What Should You Do When Making a Hurricane Damage Claim Under Your Insurance Policy? Document all the damage to your property with pictures and video. Preserve any items of personal property that have been damaged so they are available for inspection by the insurance adjuster. Don’t throw out the damaged property. Report the claim to your insurance company by phone and in writing. Keep a log of all your phone calls with your insurance company and save all your written communications (letters and emails). Keeping accurate records of your contacts with the insurance company will be very helpful if there is a dispute later. What Should You do if Your Insurance Company Either Isn’t Responding or Has Made a Low Offer? If you are not getting a response, give your insurance company a deadline, in writing, to respond. Tell them that if they do not respond by the deadline, you will hire an attorney. If they do respond and they give you a low offer, get additional estimates to repair or replace your property so you are prepared to support your damage claim. Never accept the first offer from your insurance company. You will get your best offer through negotiations. Call us immediately if you are not satisfied with the response from your insurance company. We can discuss your options. We may be able to take your case on a contingency fee. This means that we would collect our fees and costs from your insurance company and you don’t have to pay them out of your pocket. We are here to help you, so don’t hesitate to call us.